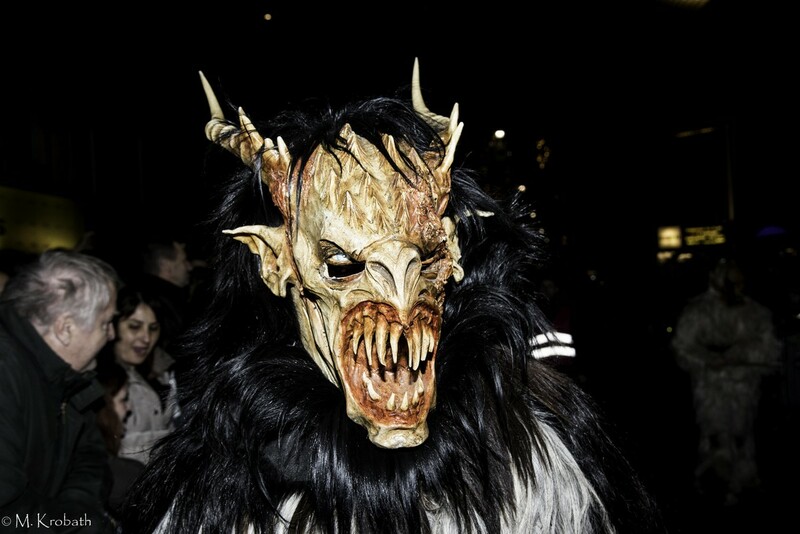 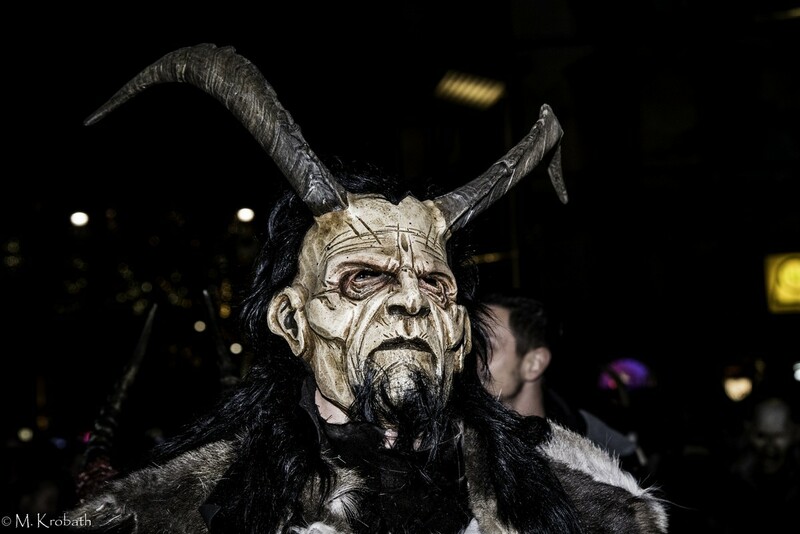 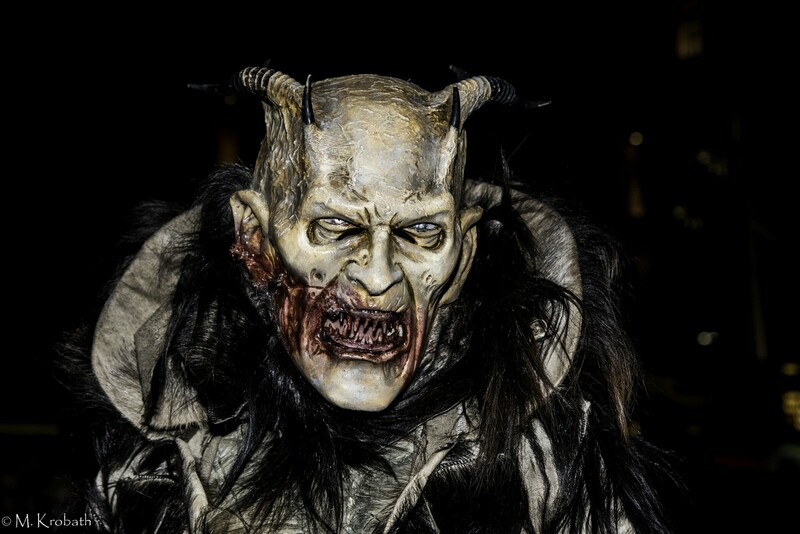 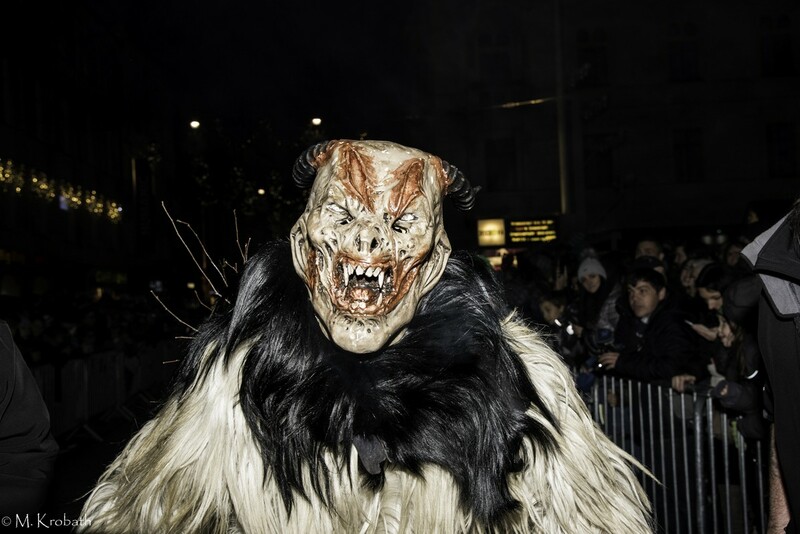 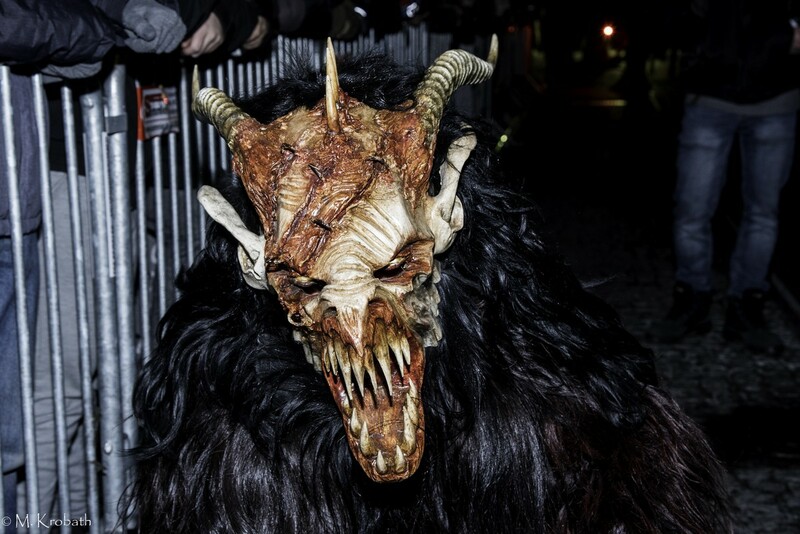 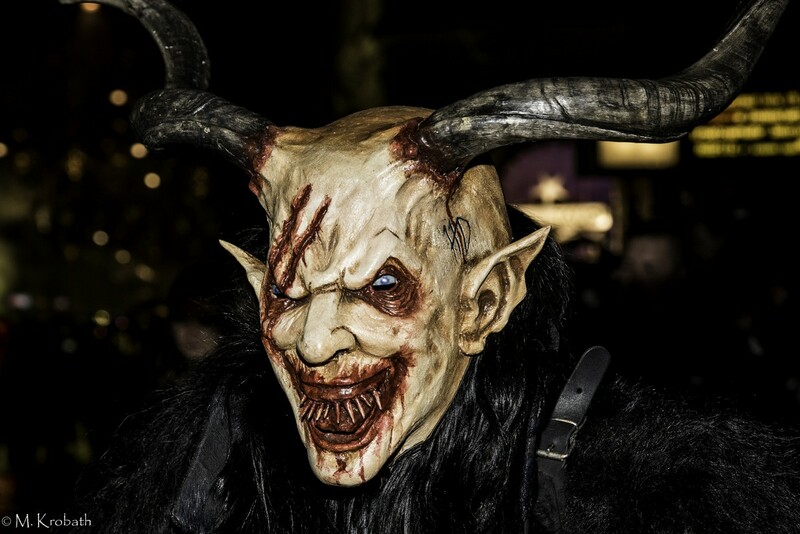 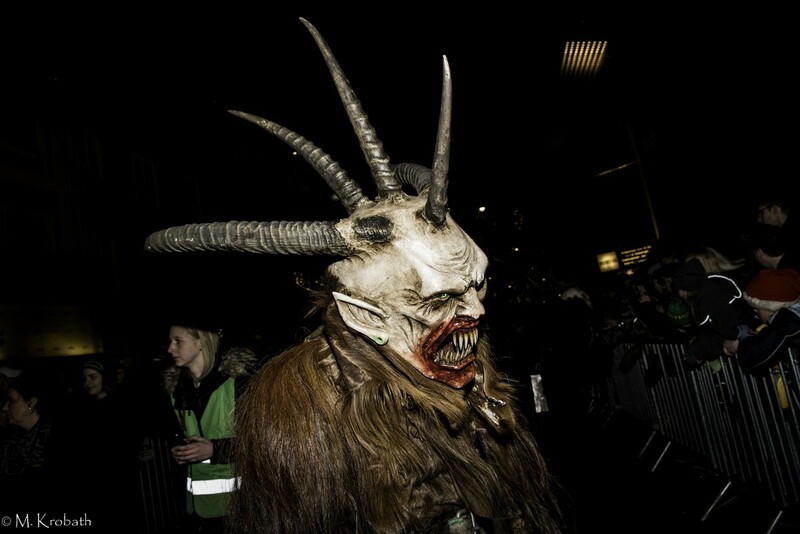 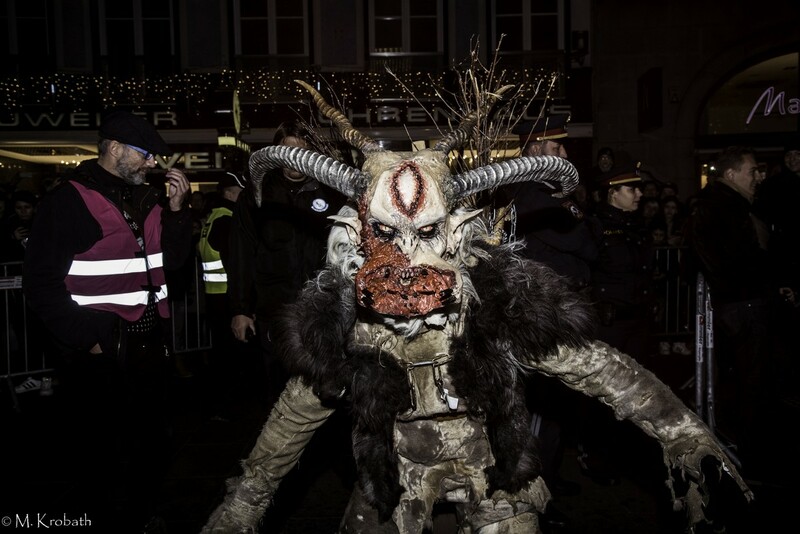 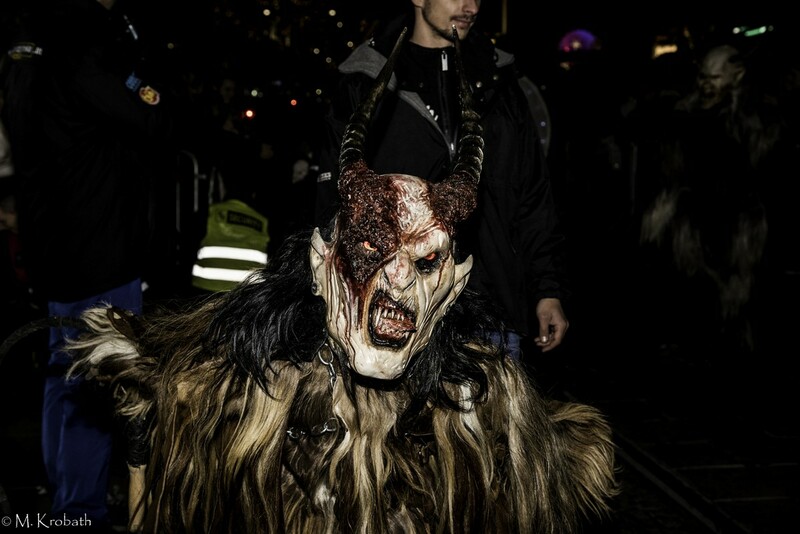 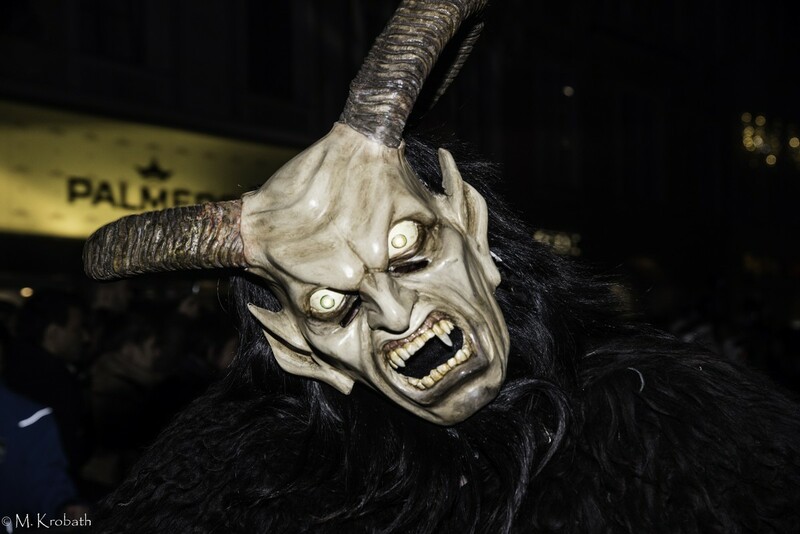 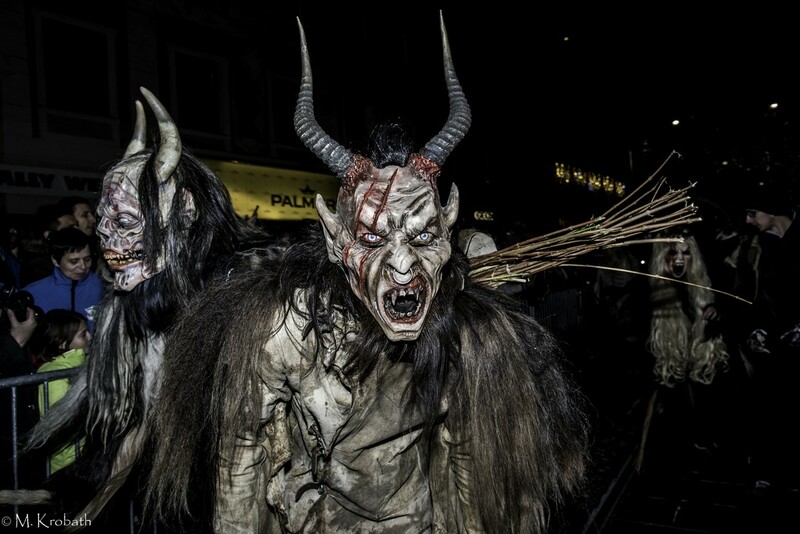 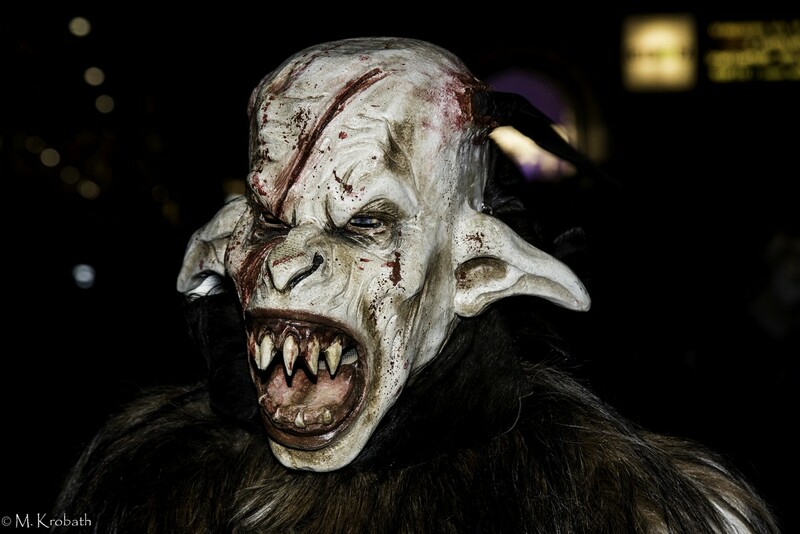 Austria is a true hotbed of anti-Santa Krampus events all over the land. 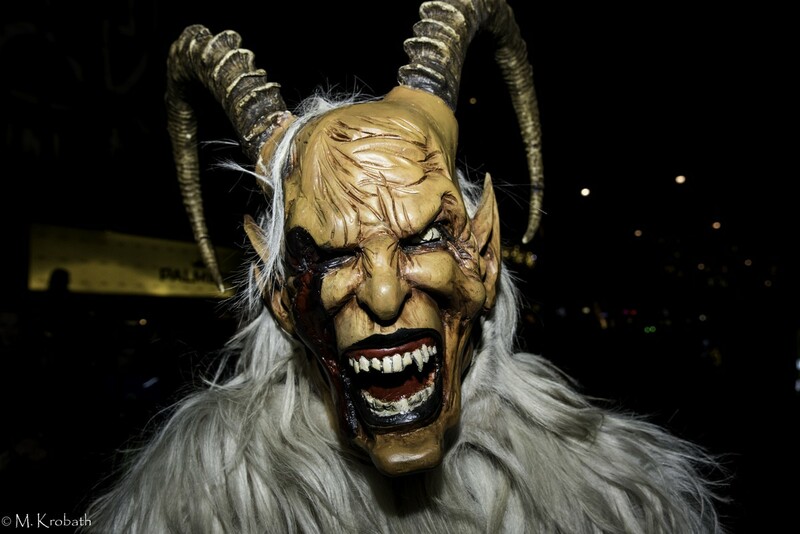 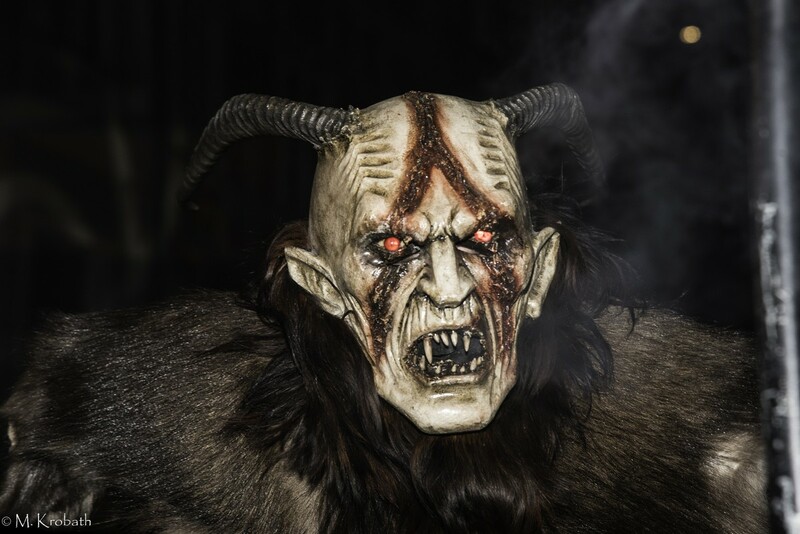 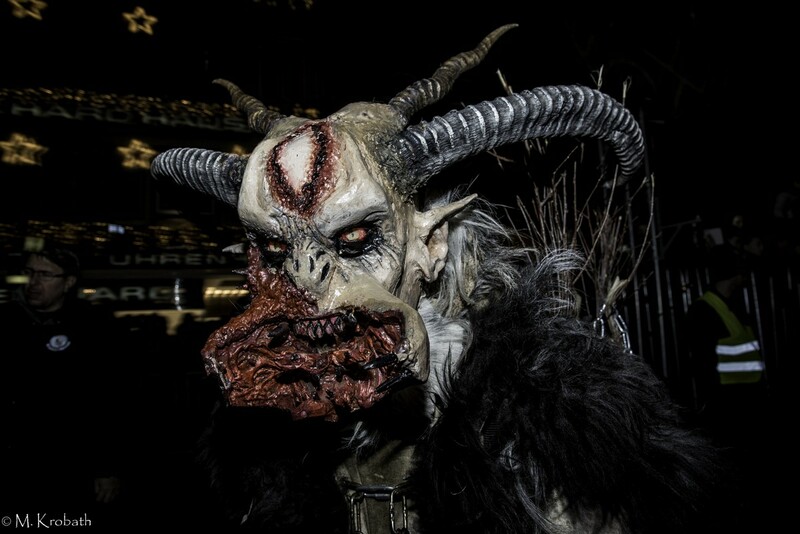 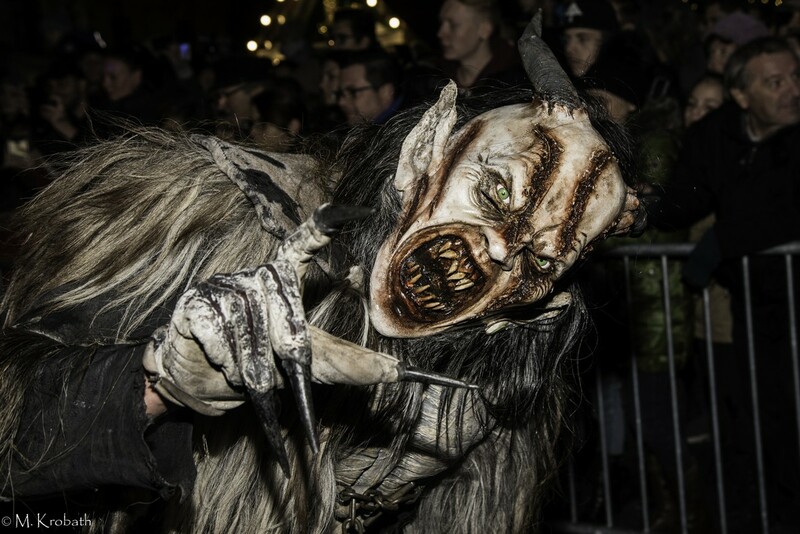 Krampus is the untamed, shaggy spirit that accompanies St. Nicholas. 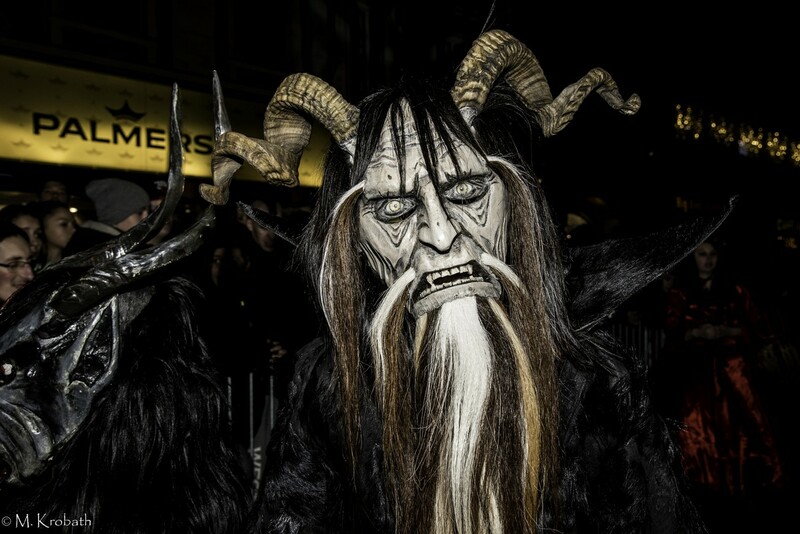 Krampusses usually roam in larger groups. 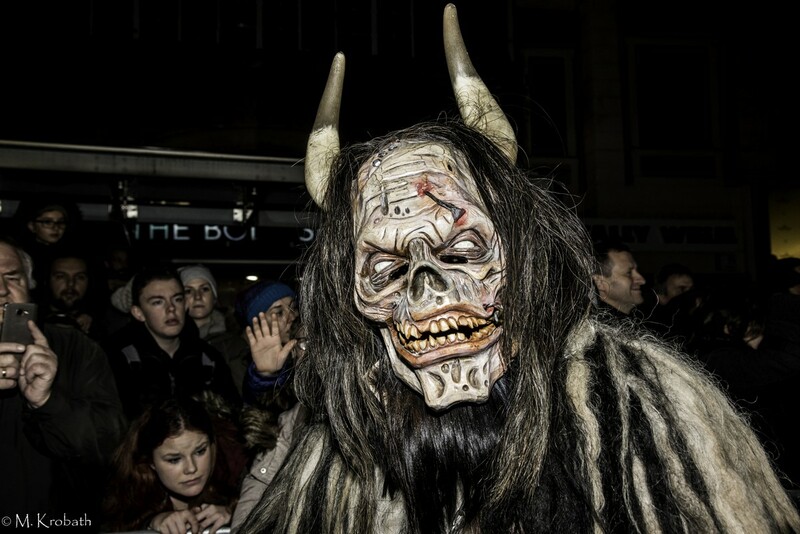 Their traditional costumes and masks are elaborately handcrafted. 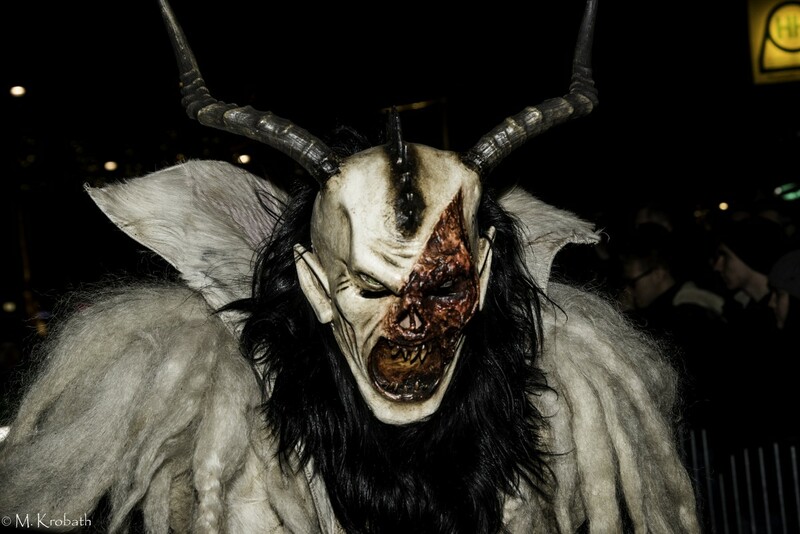 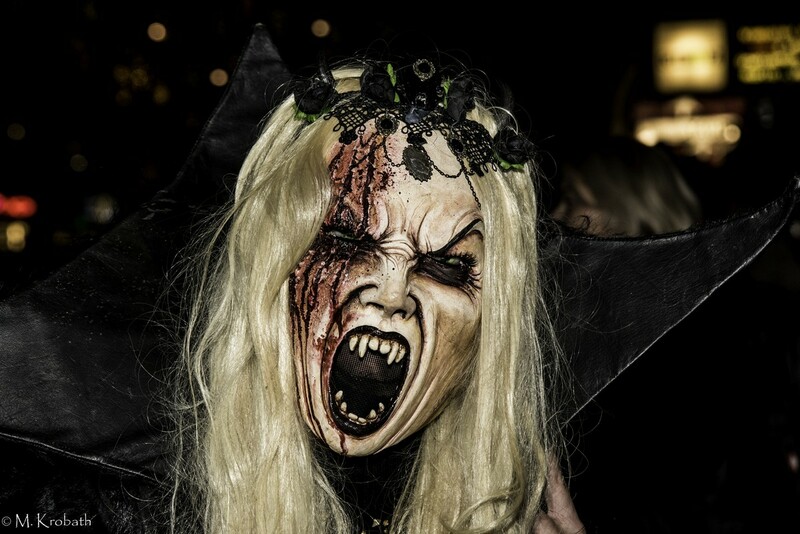 Perchten are wild pagan spirits widespread throughout the Austrian and Bavarian region. 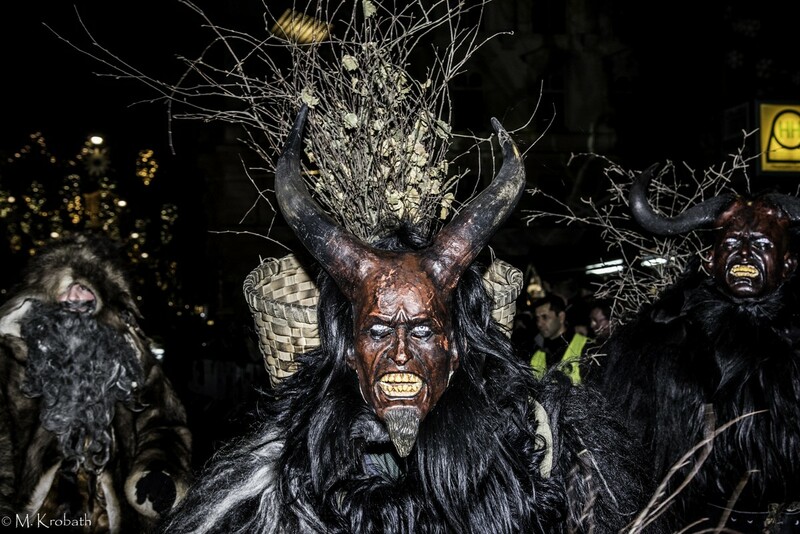 The appear alone or in groups, especially on three specific winter nights, before St. Nicholas, before the winter solstice and before Epiphany. 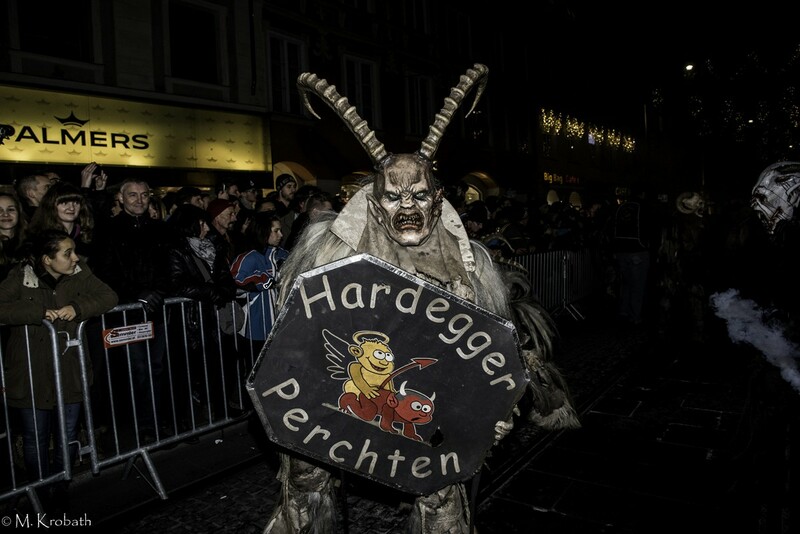 They carry bells and other loud instruments to dispel the winter.